9:25 AM PT — Drake just followed Kim on Instagram. 8:06 AM PT — Kim just put the rumor to rest herself, commenting, “Never happened. End of story.” on a social media post about the theory with Drake. 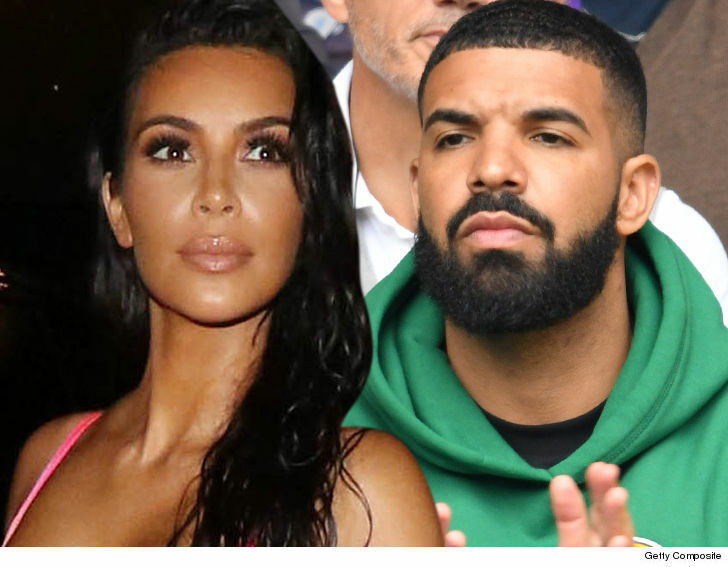 Kim Kardashian never hooked up with Drake, despite what Drizzy seems to be insinuating in his new song … sources very close to Kim tell TMZ. Drake definitely started the rumor with his song, “In My Feelings” where he refers to Kiki. That’s her family nickname, and also the color of one of her KKW Beauty lipsticks. We’re told the two do have some mutual friends and are cordial when they have run into each other at events in the past, but they’ve never had a personal friendship or relationship. As for the hooking up thing, our Kim sources say it’s all BS … that she’s never slept with Drake. Didn’t happen while she was married and didn’t happen before.